High schoolers looking to attend the University of Chicago no longer need to worry about submitting ACT or SAT test scores on their undergrad applications. 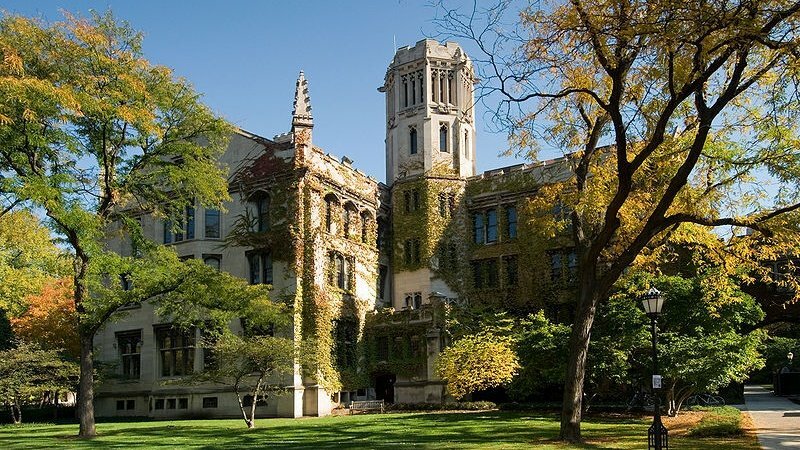 The Hyde Park-area university on Thursday unveiled the “UChicago Empower Initiative,” a new test-optional admissions process that eliminates the need for standardized test scores and adds free tuition, room and board for students coming from low-income households. “The UChicago Empower Initiative levels the playing field, allowing first-generation and low-income students to use technology and other resources to present themselves as well as any other college applicant,” university Vice President and Dean of Admissions James Nondorf said in a statement. Beginning with the class of 2023, applicants will be allowed to present the educational picture that best represents their skills and college readiness, the university says. If that doesn’t include SAT or ACT testing, that’s OK.
They’ll also be allowed to submit “non-standard” materials and accomplishments as supplemental information to demonstrate their skill base. Today we announced the #UChicago Empower Initiative, a new, test-optional admissions process to enhance the accessibility of the @UChicagoCollege for first-generation and low-income students. UChicago isn’t the first school to drop at least a portion of SAT/ACT scoring from its applications; in fact several major universities across the country including Harvard, Columbia and George Washington have already begun transitioning away from some paper-and-pencil testing requirements. But UChicago says it is the first “top-ranked college” to use this type of test-optional method. The reason for this shift, they say, is because the university wants to “level the playing field” by boosting its accessibility to first-generation undergrads and students from low-income families. Along with dropping its testing requirements, UChicago says it’s also increasing financial support – guaranteeing free tuition for families earning less than $125,000 per year, and kicking in free room and board for families who make under $60,000. Full-tuition scholarships will also be added for the children of police officers and firefighters nationwide, expanding what had previously been reserved for families living in Chicago. All told, the cost to attend the University of Chicago and live on campus last school year came out to around $70,000.